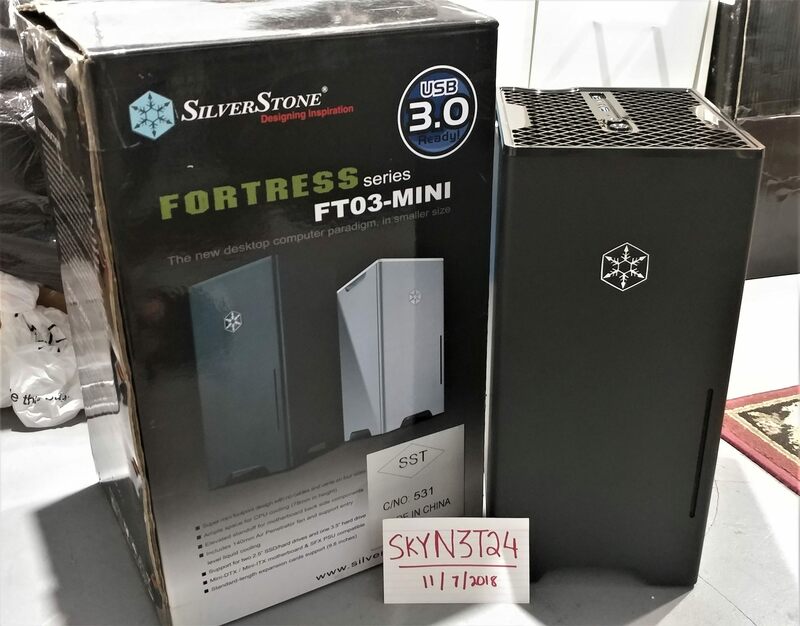 For your consideration is a Silverstone Fortress FT03B-MINI Black Aluminum ITX Vertical PC Case. New in Open Box, NEVER used. All original accessories present & untouched and a Logysis RGB LED Strip is included. It's super compact since it uses SFX power supplies, either low profile air cooler or a 120mm AIO and GPU's 10inches in length and under. The motherboard is also rotated 90 Degrees and since hot-air rises and this being a vertical case, it has excellent thermals with its included 140mm Air Penetrator fan. Aesthetic is very clean since all four sides don't show any cables, only the top. Only $90 Shipped!